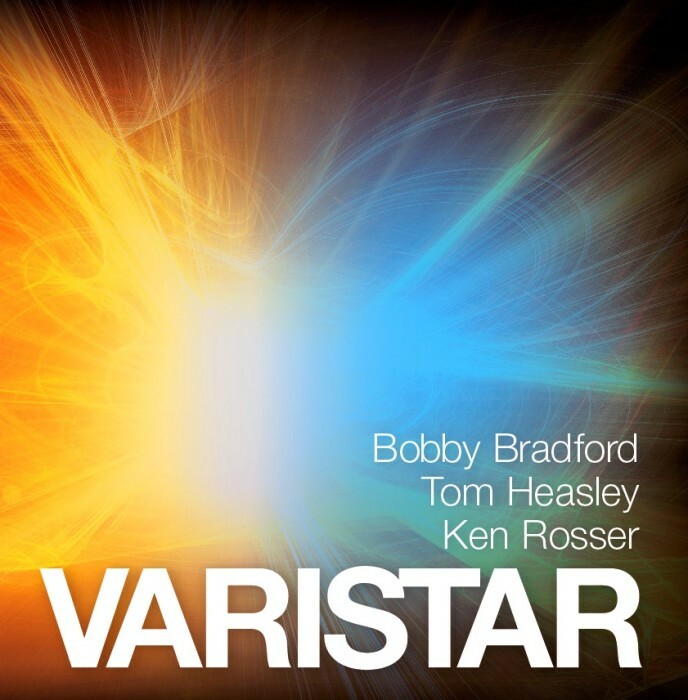 Tom Heasley is in possession of – or possessed by – a very distinctive musical persona. He is an internationally-acclaimed composer, performer and recording artist whose music creates “a rich and sonorous aural experience that flies in the face of all the dumb cliches about what tuba music is” whose work achieves a unique synthesis of composition and improvisation. 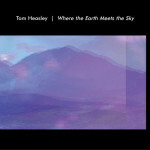 Heasley conjures music of great individuality, originality and power, which is deceptively meditative, calm and tranquil. His music speaks to a wide variety of listeners, as diverse as conservatory students at Oberlin and inmates of San Quentin. 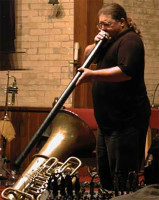 He is a true “father of invention,” who finally turned his albatross – the tuba – into a strength through the development of a unique musical voice. 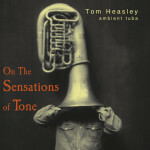 Heasley has recorded for Tzadik, Leo, Hypnos, Innova, Music and Arts, New Albion, Old Gold and Farfield Records, among others. 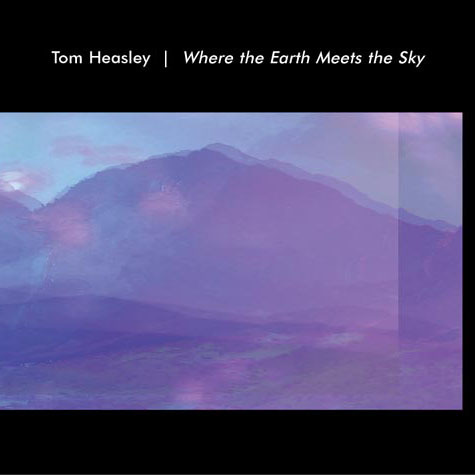 With the release of his first solo CD, Where the Earth Meets the Sky (Hypnos 2001), Mr. Heasley brought the tuba into the 21st Century. On his second CD, On the Sensations of Tone (Innova 2002), Heasley continued to redefine one of the world’s least appreciated instruments. His music has been featured on National Public Radio, BBC Radio 3, Public Radio International, Carl Stone’s Ears Wide Open, Kalvos and Damian’s New Music Bazaar and many other radio programs throughout the world, from Silicon Valley to Siberia. In 2001, Mr. Heasley toured North America for three months, performing over 30 solo concerts. In 2002, he toured the East Coast, concentrating on New York City, where he performed at Roulette, the Knitting Factory and CBGB’s, as well as making an appearance on John Schaefer’s long-running New Sounds program on WNYC. In 2003, Heasley relocated to Los Angeles and made an appearance at the CEAIT Festival at Cal Arts. His summer/fall tour that year began with Two Meet The Composer concerts – in San Francisco and Brooklyn – and included The American Composer’s Forum’s Sonic Circuits Festival at the Kennedy Center in Washington, D.C., as well as concerts throughout the south. 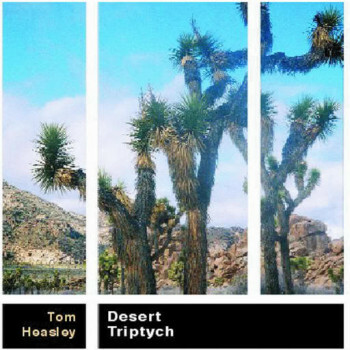 In the summer of 2004, Mr. Heasley was invited to London by the BBC, where he recorded a live session and interview for the BBC Radio 3 program Mixing It. 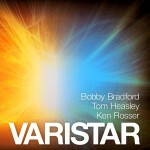 Since that time, Mr. Heasley’s music has been licensed for a BBC documentary currently in production for a fall release. That one appearance brought Heasley many new fans in the UK. Following a recent appearance on KPFK radio in Los Angeles, film directors, choreographers and others have begun to approach Heasley regarding potential projects. This fall, Heasley will be a visiting artist at Cal Arts. Mr. Heasley’s third solo recording – DESERT TRIPTYCH – was released in 2005 by Southampton-based Farfield Records. It is his first recording to feature the didjeridu, along with voice and electronics. Tom’s music was used extensively throughout a documentary produced for BBC Television in “Tough Kids, Tough Love” (2005), directed by Lynn Alleway. Western Sky is used twice and Ground Zero once in the 60 Min. film. It has played at a number of festivals in Europe. It was recognition and validation coupled with actual money. At that time I looked forward to much more of the same in the upcoming years. I am an artist/homemaker! I would be living on the street if not for my wife's income. It should be the other way around. My art constantly evolves and changes. Big deal. If worldly success interests you, read my upcoming memoirs, and do everything differently than I did.